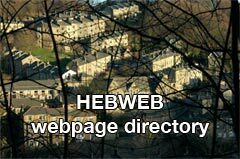 The Hebweb Directory is a list of pages and sites which will be of interest to those living in Hebden Bridge and the surrounding area. When you submit the form below you will have the opportunity to pay online or, if you prefer, to be sent an invoice. You can pay using Worldpay or Paypal. If you would like a listing please write it in below.